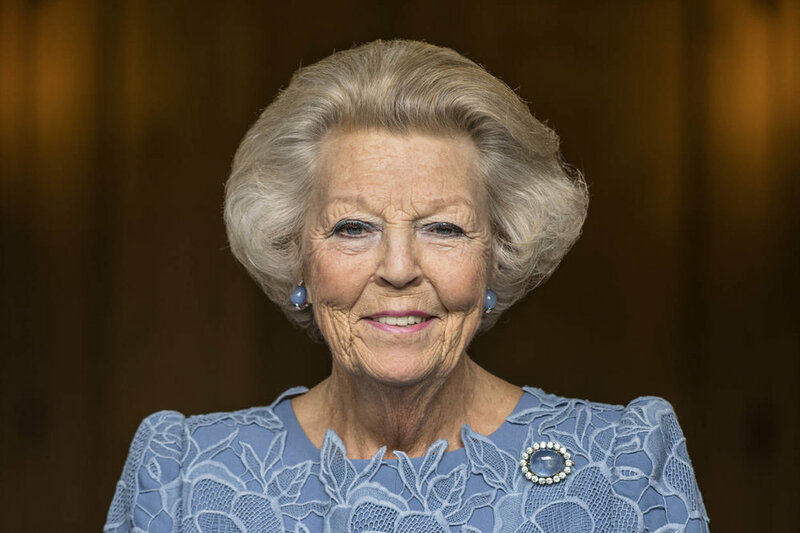 Her Royal Highness Princess Beatrix of the Netherlands pays a visit to Bonaire from November 28th up to and including December 1st, 2018. She visits the island at the invitation of the Foundation National Parks Bonaire (STINAPA Bonaire), a non-governmental organisation that is responsible for the management of the national parks on Bonaire. STINAPA is a member of the Dutch Caribbean Nature Alliance (DCNA) of which Princess Beatrix is the patron. Princess Beatrix is welcomed at the airport by Deputy Kingdom Representative for Bonaire, St. Eustatius and Saba, Jan Helmond, and the Island Governor of Bonaire, Edison Rijna. In the morning Princess Beatrix visits the head office of STINAPA. 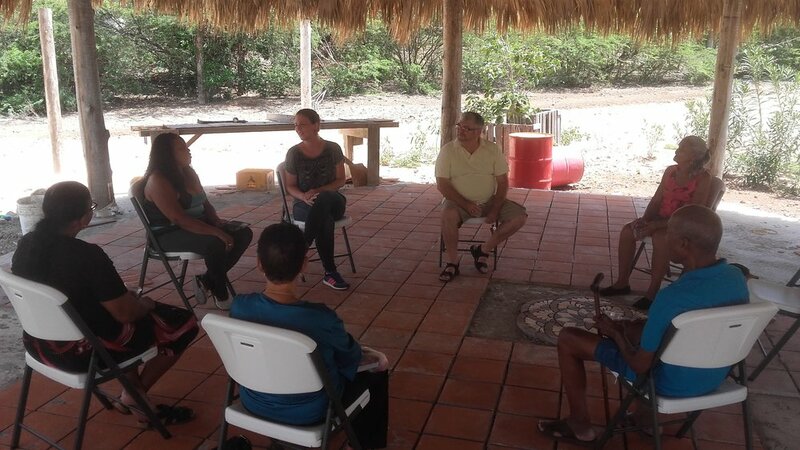 Here, she is given an explanation about the conservation and the protection of the natural parks on Bonaire, i.e. the National Underwater Park Bonaire and the Washington Slagbaai National Park. Subsequently Princess Beatrix visits, as patron of the Dutch UNICEF Committee, the Strea Briante School. This school is the winner of the first Caribbean UNICEF Child Rights Film Festival. This festival was created to awaken children in the Caribbean Netherlands to their rights in an active and creative way. Princess Beatrix will watch their film together with the children and then engages in a conversation with them. In the afternoon Princess Beatrix attends the ‘Economy and Nature in balance” symposium. The symposium, organised by DCNA, addresses the field of tension between nature management and conservation and development of tourism. Apart from speeches, a panel discussion will take place. The first day is concluded with a reception in the official residence of Island Governor Rijna. In the morning Princess Beatrix visits the Washington Slagbaai National Park; the first nature reserve of the then Netherlands Antilles and established in 1969. The park of 5,643 hectares offers a safe living environment to protected indigenous species of Bonaire, e.g. parrots, flamingos, parakeets and iguanas. In addition, the beaches are an important breeding ground for the four types of sea turtles that live in the Caribbean. After a welcome and tour through the visitors’ centre, the park is visited by off-road vehicle. After the visit the Princess will speak with the rangers, researchers and employees of the Washington Slagbaai National Park. In the afternoon Princess Beatrix visits Hòfi Kultural; a cultural residents’ initiative that was also supported by the Orange Fund. At Hòfi Kultural residents can meet each other and get to know each other better by practising art together. The Princess speaks with the initiators and visitors of the Hòfi Kultural and unveils a woodcarving. The visit to STINAPA is concluded with the attendance of the debate of the STINAPA Junior Rangers; the youth programme of the organisation. 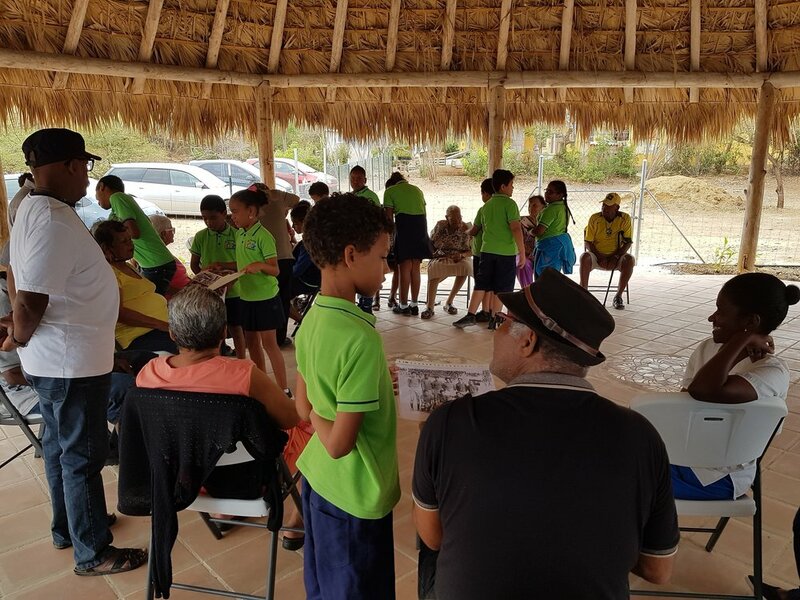 For approximately 10 years youngsters have been receiving weekly training to learn about the special flora and fauna on the island and the importance of nature management and conservation. They are the nature ambassadors of and for Bonaire. The Junior Rangers annually organise a debate as part of their training. This year the theme is: ‘Will sustainable development hinder or benefit Bonaire’s economy’. The Princess attends the debate rounds and the closing speech. Afterwards she meets the Junior Rangers, their supervisors and volunteers of the youth programme. 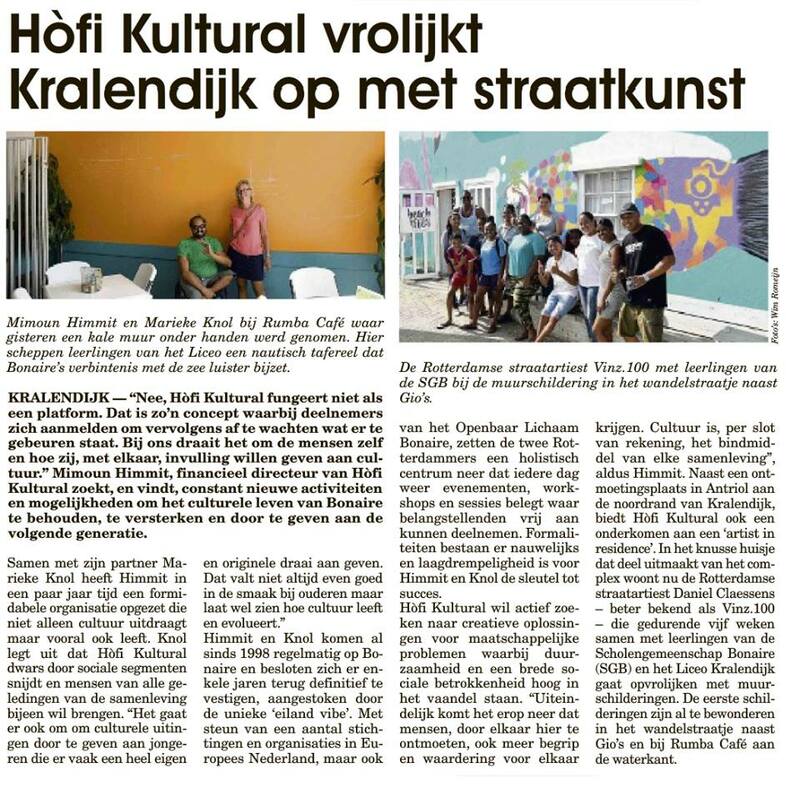 Fundashon Plataforma Kultural is organising an extensive educational art program for hundreds of secondary-school pupils on Bonaire and Curaçao. Schoolteachers can download the educational program from www.hofikultural.com/education. From October 2018 until January 2019 secondary school pupils will learn about visiting artists and their influence on the islands and the Dutch artist Dolf Henkes (1903-1989) in particular. The pupils will make several murals led by professional artists. The project is part of Henkes on Curaçao. An extensive selection of work by Rotterdam artist Dolf Henkes will be on show on Curaçao. Opening on the 22nd of September 2018 by Minister Marilyn Alcalá-Wallé (for press and relations only). Starting from October 2018 the street artist Vinz.100 from Rotterdam will stay on Bonaire for five weeks. 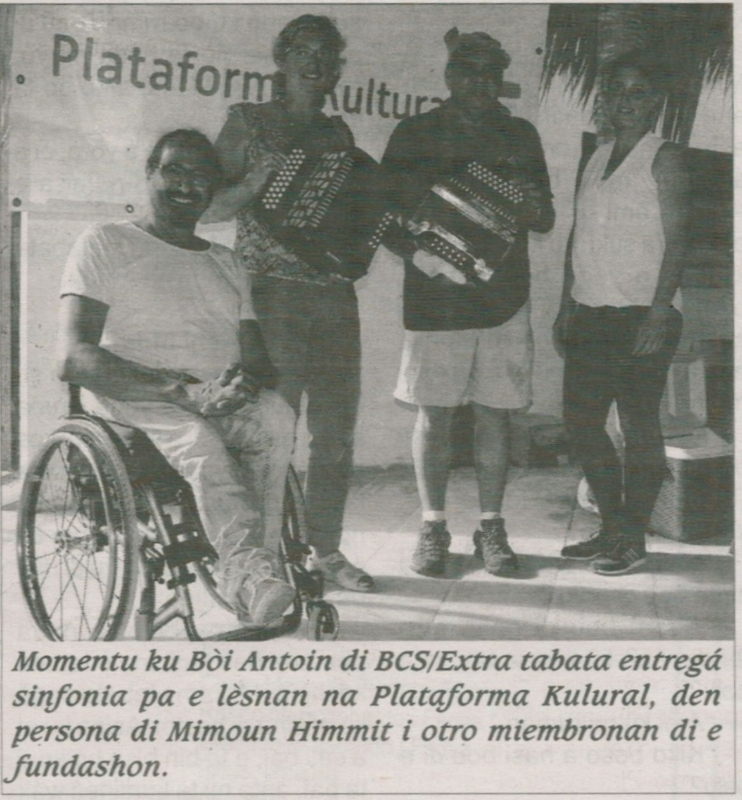 He will stay at BonAIResidence, a new artist in residence facility, close to cultural centre Hòfi Kultural in Antriol. Vinz.100 will start giving workshops at Hòfi Kultural after the regatta holiday. 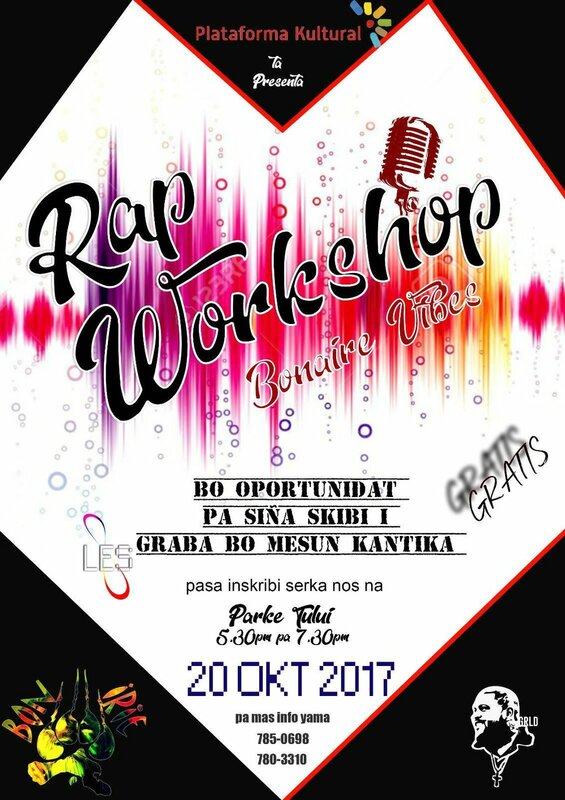 Youngsters from SGB, Forma and Jong Bonaire will take part in the program. After that, Vinz.100 will make several murals together with the youngsters on Bonaire. On Curaçao there will be three exhibitions of work by Rotterdam artist Dolf Henkes in The Curaçao Museum, Instituto Buena Bista (IBB) and the Curaçao Maritime Museum. For the first time since Henkes visited the island, more than 30 paintings by Dolf Henkes from the Netherlands have been shipped to Curaçao and are on show alongside artworks from Curaçaoan collections and from contemporary artists. Henkes on Curaçao takes place from September 25, 2018 to January 12, 2019. Teachers from several secondary schools on Curaçao will use the educational program in the classroom and visit the exhibitions with their school pupils. The pupils will get acquainted with the art history of Curaçao, the influence of visiting artists in the Caribbean and contemporary murals. The pupils will discuss different taboos that are expressed in artworks. After that, students of IBB will make murals with school pupils on Curaçao. On September 21, 2018 a symposium with short lectures will take place at IBB, about visiting artists. To register mail to info@institutobuenabista.com. The symposium starts at 2.30 pm. In late 1945, the Rotterdam artist Dolf Henkes (1903–1989) boarded a ship to Curaçao. Everything about the island would make a deep impression on him after those dark wartime years in the Netherlands — the colours, the light, everyday life. He took the island’s archetypal features and themes and fashioned them into his own distinctive, modern idiom. Curaçao conquered his heart and had a lasting influence on his work. He in turn left clear traces of his visit on the island, including two large-scale murals, in the chapel of the Sint Elisabeth Hospital and at Hato Airport. Henkes on Curaçao was organised by the Henkes Foundation and the Cultural Heritage Agency of the Netherlands in partnership with the Curaçao Museum, Instituto Buena Bista (IBB), the Curaçao Maritime Museum and Fundashon Plataforma Kultural (for the educational element). The project was made possible thanks to funding from the Mondrian Fund and the sponsorship of the Central Bank of Curaçao and Sint Maarten, VanEps Kunneman VanDoorne and Powerhouse Company, along with the support of Museum Boijmans van Beuningen. 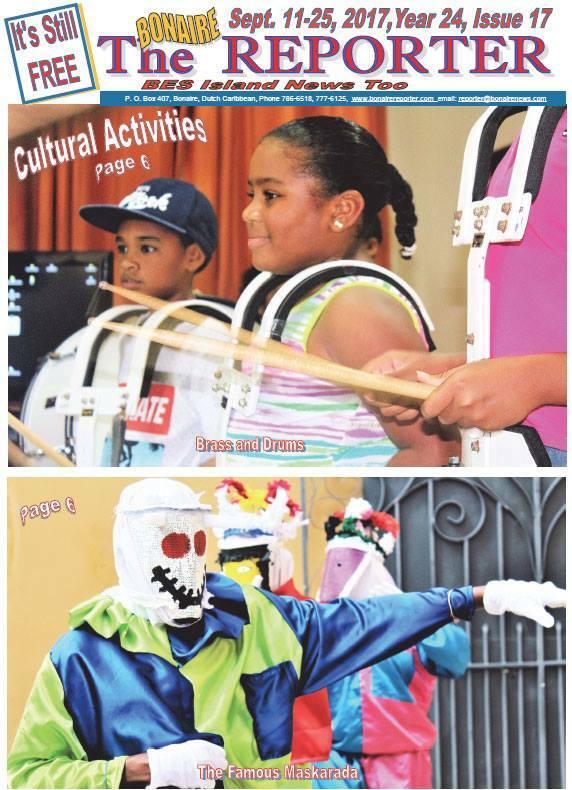 Fundashon Plataforma Kultural organizes activities for all kinds of ages. One of those activities is Storytelling. Every Thursday afternoon a group of elderly people look at photos from Boi Antoin’s image archive, to tell each other stories about the early days and to dig up all kinds of memories. Pascolita is one of the persons who come to Storytelling every week. She loves to bring back memories and to recognize people in photos, like family members. Every time she leaves she has learned something new, she explains. Looking at old files and photos and talking about them with others keeps her memories alive. According to Pascolita elderly people should be interviewed more to preserve (old) knowledge, before it disappears. Many young people do not know about the history of their grandparents on Bonaire; how they lived, and what they did from day to day. The old generation has so much knowledge, you’d be surprised on how much they can tell and teach about Bonaire’s old culture and former habits. Pascolita regrets seeing so few children playing on the streets. It almost seems like most kids are only playing on their phones nowadays. She would love to see people invite their children and grandchildren to these kind of events, to teach them old games, so kids get introduced to them again. Games like Jacks, Hide and Seek, playing with marbles, ‘Annemaria koekoek’ etc. Thinking back on a time when living on a kunuku was where Bonairian life was all about, Pascolita tells how planting plants, getting water from a well, preparing your food outside on a fire with three big stones was part of daily life. No refrigerators, meat was self-preserved, taking care of your own food instead of going to the supermarket like we do now. Knowing when to plant and harvest crops according to the position and cycle of the moon. It sounds like a long time ago, but it wasn’t. Pascolita is a bit worried when this knowledge isn’t passed on soon it maybe disappears forever. Sharing stories about how it was living in former times on the island is a great way to start triggeringthe interest of younger people, so they learn about their ancestors, own history and culture. A history that isn’t always taught at school. Learning about music that was played and what kind of dances people used to dance. But more important, to let different generations connect and learn from each other. Throughout Storytelling the older generation can transfer their knowledge to get youngsters enthusiastic to learn more so they can pass it along to. Pascolita is very happy Fundashon Plataforma Kultural facilitates a space where youngsters get the chance to learn many things like music, dances and Bonaire’s history. And in the meantime, she will listen to, talk about and share memories at the weekly Storytelling activity that will start again after the summer holiday. Keep an eye out on our website and Facebook for more information on the dates. The básico students of FORMA have followed a music program with a varied curriculum at Hófi Kultural. During this program, they have worked on music and lyrics with influences from different music styles over a period of three months. They were guided by Juamar Nicolaas “Manjam” (specialized in rap) and Jonathan Martijn (specialized in folklore). In addition, guest lecturers have contributed to the pupils’ education by familiarizing them with different styles, such as music with African influences. This project, in which ‘self-expression’ and ‘expressing yourself through music’ have been emphasized, has resulted in two songs. These can be listened to on Soundcloud (Bon Irie): https://soundcloud.com/bon-irie. Hòfi Kultural is characterized by a few remarkable buildings that offer space to engage industrial activities for all ages. A lot has been involved in building Hòfi Kultural from the ground up, and it still does. Fundashon Plataforma Kultural would never have been able to manage this on its own. Thanks to sponsors and others, the foundation continues to grow and build. BonNed and Bonaire Building Management are two of those sponsors, and we would like to introduce you to the people behind it. Aside from running his own company Bonaire Bouw Management, Isandro Wanga is also the superintendent on construction for BonNed. Erik van Wordragen, BonNed’s director, approached Isandro to collaborate on the project Hòfi Kultural. Within Hòfi Kultural, BonNed took on the largest part of construction, where Isandro’s time was mostly spent organizing, advising, overseeing and coordinating. His efforts enabled BonNed to solely focus on its own tasks without having to worry about the rest. This was a very pleasant way to collaborate between all parties, according to Isandro. Everybody was involved in thinking along, and by means of a WhatsApp group created for this purpose, the communication within the team went smoothly. Isandro felt incredibly involved in the project and enjoyed being able to use his knowledge and the skills at which he excels. By employing his network, he tries to enthuse others to sponsor non-profit foundations or stimulate others to charge a lower price for their work in such cases. “The benefit of this way of working is that you come into contact with people from different branches, which is great for the name of your company,” Isandro says. An added advantage! Isandro completely supports the goal of the foundation, and he sees himself participate in one of the activities, such as playing the cuatro or dancing the waltz, mazurka and simadan, when he is a little older. BonNed has sponsored many foundations - related to, for instance, sports and carnivals - but Erik considered Hòfi Kultural to be different. “When it comes to an initiative such as Hòfi Kultural, there are many different aspects at play that a lot of sports foundations don’t offer. It makes for a different type of involvement; this is more about people, music, and culture,” Erik explains. This project also involved the act of building itself, which drew both men to it. Erik is very enthusiastic about the willpower of the people involved in the foundation, who try to reach a large group of people in a simple way. This gave Erik and his company an immense impulse to support the foundation and he wholeheartedly hopes that Hòfi Kultural will get very far. He would love it if, 10 years from now, it can be stated that BonNed has created a small start of a successful foundation, and that the land will be completely packed with buildings. He wishes the foundation every success, and BonNed gladly watches the Hòfi Kultural develop further. Fundashon Plataforma Kultural is incredibly grateful to Erik, Isandro, and all others who have contributed to the project for their help, advice, and time! Masha danki tur hende! Isandro guides construction projects on site, plans, manages the purchases, and organizes the staff. Isandro can be approached if you want to build a house, for example. He will then draw up a plan for guiding the construction project. He also provides financial advice, helps with the inspection of houses, determines the status, and draws up an overview of the costs of potential repairs. What once started on Sint Maarten continued on Bonaire 11 years ago. Since then, Erik van Wordragen has been running BonNed, which has grown to be one of the biggest construction companies in Bonaire. BonNed offers construction work in all areas: new build, renovation, infrastructure, and the company even has its own carpentry division. This versatility is required on a small island like Bonaire, where it isn’t wise to bet on one horse, Erik explains. Three representatives of the Dutch Government visited Hòfi Kultural last week. This visit was because of the Dutch program 'Kansen voor alle Kinderen' (Chances for all Children). 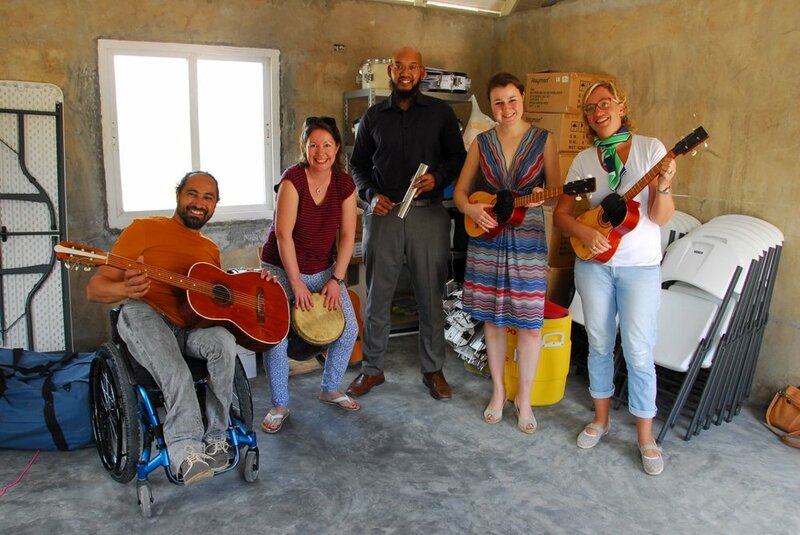 We received several donations for Hòfi Kultural last week: Bonaire Communication Services donated a sinfonia, Carnival Exstacy donated 15 chairs and BonNed and DECO donated diabaas. We are very grateful and will use everything with great pleasure. Thank you so much! On Monday September 18th the first activities started at Hòfi Kultural. In the event calender you can find all the activities in the coming period. The roof of the gazebo of Hòfi Kultural is finaly ready. 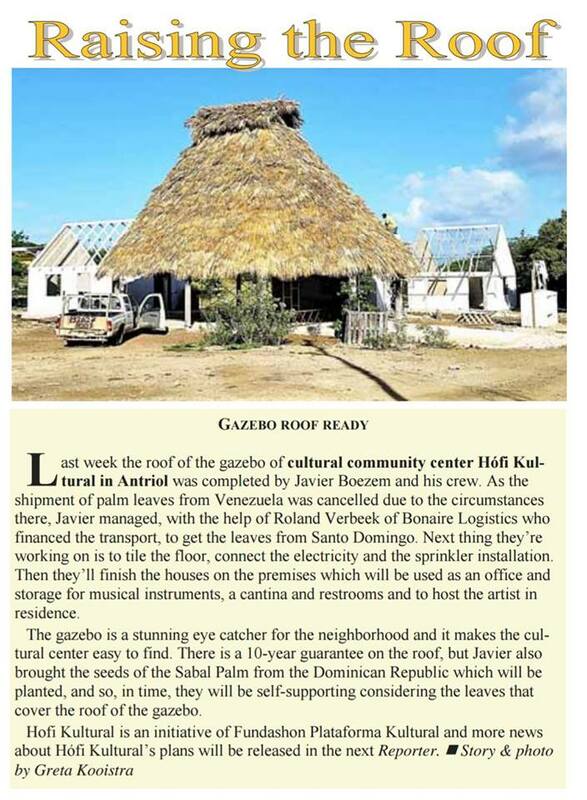 Constructor Javier Boezem and his crew prepared the sabal palm leaves. With the help of Bonaire Logistics the leaves were imported form the Dominican Republic.